This was old, just reposted by hairsite in the hair transplant forum. This is hair multiplication, literally! 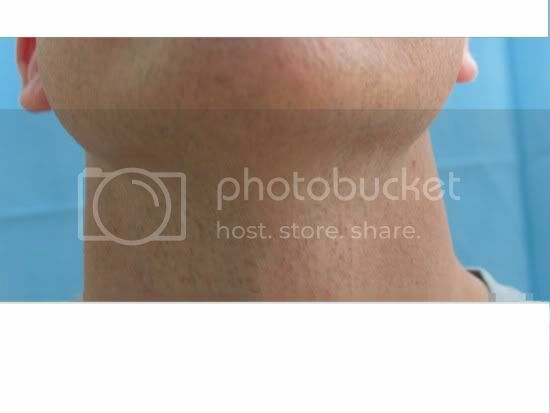 No wonder everybody in the hair transplant forum is talking about using beard hair lately, i think it has real potential for hair multiplication, best of all, no FDA approval needed and doctors are already doing it. or perhaps, it is because you do not like the fact that this would have to be combined with a hair transplant…However I think this being a proven working technology has a lot more potential than anything ICX or follica has out there at the current thime. It’s an interesting article. But it is very old. If this were really a great solution, where is one person who has restored his hair using this method? That’s why it has no appeal to me. There’s no way I’d even consider transplanting beard hair, unless I could see for myself that it looked natural and truly provided unlimited donor hair. I would also need to see the scarring that took place in the donor area. The last thing I need is scars on my face. I would prefer to take donor hair from an area that is more easily concealable, not from my face. Another reason this article has no interest for me. Something like ICX holds more appeal, because they (in theory) only have to take donor area one time (not from the face), and the multiplication is done in a lab. Of course there isn’t any reason to believe this works either (other than in theory). But I have much more interest in an ICX type solution than beard hair transplants. I read the words “beard hair transplant” and I just say, “Next!”. » looked natural and truly provided unlimited donor hair. » I would also need to see the scarring that took place in the donor area. » hair from an area that is more easily concealable, not from my face. » Another reason this article has no interest for me. » transplant” and I just say, “Next!”. Exactly, Arvind and Umar are doing a lot of beard hair transplants already, perhaps we are onto something, imagine the possiblity if they can keep splitting beard hairs. if splitting beard hairs works…and body hairs can be successfully transplanted into scalps, why would not scalp hair splitting work? » » splitting beard hairs. IIRC it has been/being tried already. Gho and others claim they can do this already, and their work has been published. However, there is absolutely no physical proof that it works. Only claims. Just as with the beard transplant, where is even one person that has restored their hair with this technique. For me, a procedure must be able to provide at least 25K-30K new hairs that will be permanent, to replace my lost hair, as well as for future thinning. That’s the minimum. I don’t know how many beard hairs you can get from one procedure, but even if it’s 1000, that would mean 25-30 extractions from the same donor area. I just can’t imagine that there wouldn’t be any scarring on your face after that many procedures. The same would go for using normal hairs too. 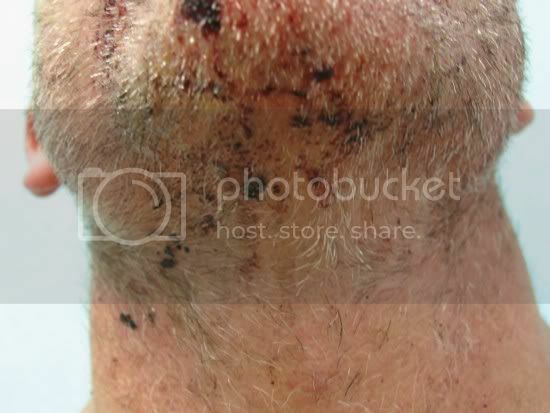 But you would at least have more hairs in the donor area to extract, and it would easier to hide any scarring from the multiple extractions from the same donor area. But again, there is no proof that this actually works. This is the main reason why I would prefer an ICX type solution. One time extraction of a few hundred hairs at most, and in essence an unlimited supply. And just like everything else out there, there’s no proof that this works either. » published. However, there is absolutely no physical proof that it works. » that has restored their hair with this technique. » wouldn’t be any scarring on your face after that many procedures. » again, there is no proof that this actually works. This issue is like FUE work. People argue all day about the limit of extractible FUE grafts as if it’s a hard scientific thing. But the real limit is a judgement call about what is an “acceptable” amount of thinning in the donor area. Probably same limit with beard hairs, I would guess. Science might be able to get X-number of hairs from the beard in theory. But in practice, I suspect the scarring will probably limit the extent of the work that can be done in the area long before that. Those are crap after pictures. No way I would pay somebody to look like that. Again, if he can show me somebody who has a full, natural head of hair (not an illusion of full-like, but actually a full head of hair) using beard hair that supposedly can be harvested again, I’ll reconsider. Getting 2 new follicles from one is old technique …so old ! Its everything but our Messiah…and to be franc this has nothing to do with the HM board ! to talk about HM you need to have significant scale of multiplication not 2 out of 1 !!! » This issue is like FUE work. » is an “acceptable” amount of thinning in the donor area. » Probably same limit with beard hairs, I would guess. » Science might be able to get X-number of hairs from the beard in theory. » the work that can be done in the area long before that. Believe me, I wasn’t a big fan of Dr. Umar’s beard hair transplant, that was until I read this cloning article. The scarring is actually not an issue at all. No transplant is EVER EVER EVER going to give you or anyone else a “full” head of “natural” hair as you call it. Most realistic, logical people who undergo transplants are not under the impression that they are magically going to turn into Brad Pitt after the procedure. There is NO SUCH THING as a “natural, full head of hair” following a transplant. Depending on hair color, the head has approximately 120,000 hair follicles. That is a pretty thick beard, aint it? Transplants CAN give decent coverage as is evidenced by some of the patients on the Transplant Forum from doctors like Armani and Hasson & Wong, to name a few. » thick beard, aint it? Yeah, who doesn’t want our virgin head hair back but there is nothing right now that is remotely promising in giving us an unlimited supply of hair. If beard hair turns out to be a source for unlimited donor supply, this is a huge step forward. The HM guys should spend some time in the hair transplant forum, many doctors are doing beard hair transplant like clockwork already on their patients, we just need to convince some doctors to experiment with another donor extraction method to see if the beard grows back. » multiplication not 2 out of 1 !!! Please show me some examples of 2-for-1 transplants. How old are they, Amilcar? Ummmmm, the guy is claiming that they can harvest and reharvest beard hair. I wasn’t talking about a normal tranplant. I was talking about somebody claiming to transplant supposedly 10,000 beard hairs, and then reharvest again. My point was that these are only claims, not reality. There is no proof of this. Show me a full head of hair, which should be possible with these claims. I agree that you cannot currently get a full, natural looking head of hair given current technology. That was my point. » Ummmmm, the guy is claiming that they can harvest and reharvest beard hair. » looking head of hair given current technology. That was my point. What I said was that the claims are not valid. They are just that. Claims only. Not reality. The article says “inexhaustible supply”. If so, that implies a full head of hair. Show it to me. I say BS on the claims. You may be right that it may be a long, long time to achieve a full head of hair. I have never disagreed with that.